Samoa’s most iconic landmark in the heart of Apia, the Town Clock, underwent a transformation last night. 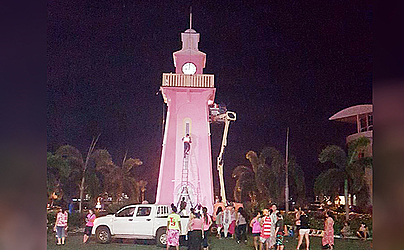 For the first time in history, the Town Clock was painted pink as part of a campaign to fight cancer in Samoa. The campaign is famously known as Pinktober. Driven by the Samoa Cancer Society Inc., it will be officially launched tomorrow. 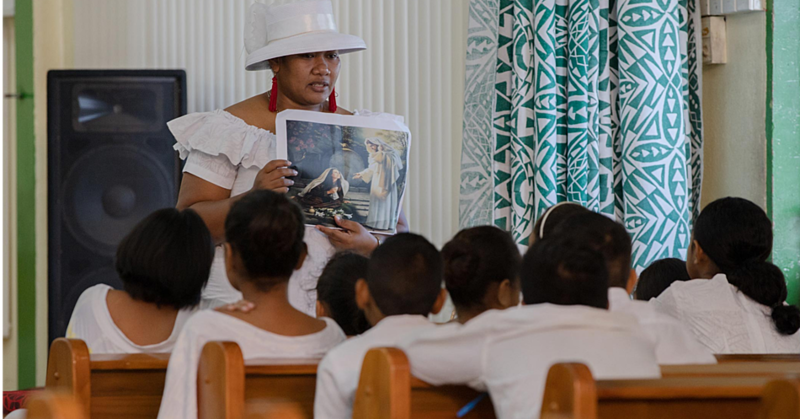 Samoa Cancer Society Chief Executive Officer, Shelley Burich, said Pinktober is a universal campaign dedicating to the whole month of October for Breast Cancer Awareness and Advocacy. “It is about raising awareness on breast cancer; pushing the messages of early detection, seeking early intervention; acknowledging those who are fighting breast cancer and honoring those who have passed on." Ms. Burich said breast cancer remains the highest killer disease among the female population. The Chief Executive said the government is doing its’ best to provide health services for people with Cancer and it is the job of Samoa Cancer Society to advise government on the gaps in the services that needs to be improved and areas that should receive more attention like palliative care or beyond treatment. “Pinktober is about communities taking ownership and leading the way to advocate for Breast Cancer. You might ask why it is important. Because the more we talk about Breast Cancer or Cancer in general, the more people will listen, the more people will be involved and pay attention and the more people will see it as a priority for Early Detection and being informed." 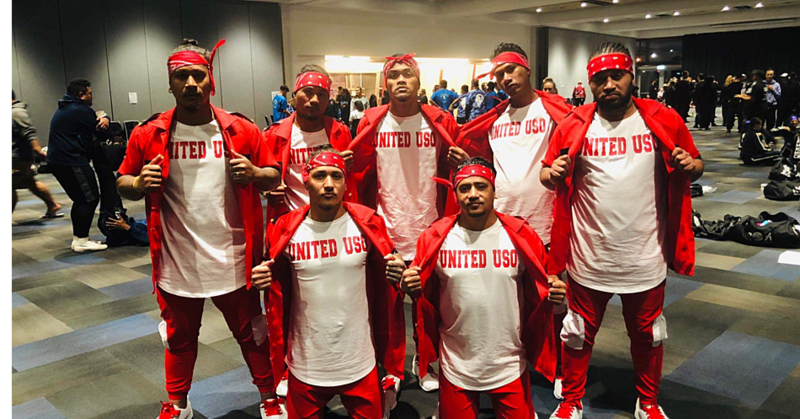 “Pinktober is a personal campaign because it takes people who have experienced the battle with cancer to understand and relate to the realities of the disease. " “Our hope and drive is to make sure we can advocate that experience is a little better for someone else." “For people that are surviving cancer, they know and understand the impacts of cancer on their lives and their families and Pinktober is about allowing them to share that experience with us and to share the real impacts that are happening with people that have cancer. So it is really important for us to say ‘What can we do about this? What is missing? What needs to change?" 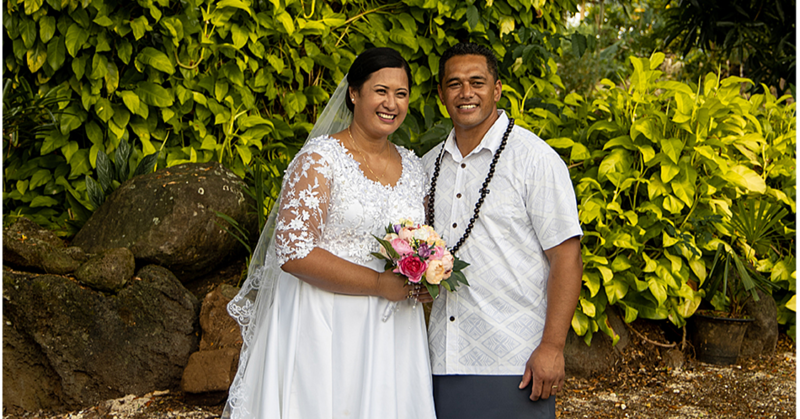 “Giving to the Samoa Cancer Society is not just a donation; it is a gift of life. You are enabling the Society to help people with Cancer to live their life and understand that Cancer does not need to be a death sentence. You are enabling the Society to advocate at the highest level for cancer patients." “We call upon our partners, our Civil society and community partners to join the Pink Wagon and we welcome your support." General Manager of TV3, Verona Parker, said Pinktober is vital advocacy campaign for the Samoa Cancer Society. “A lot of females have cancer and I guess that is the whole reason behind this initiative,” she said. The ANZ Bank has thrown its support behind the campaign. Country Manager Bernie Poort, who once shaved his hair to raise funds for Cancer, said they have been working with the Samoa Cancer Society for seven years now. Samoa Stationery and Books is also involved. Sales and Marketing Manager, Asia Stanley, said the Pinktober is a cause close to Fiti Leung Wai’s heart. Friday 6th October: Purchase a sei in remembrance of those who have passed away and honoring heroes who continue to fight cancer. Pink Luncheon hosted by Sheraton Hotel.